Not every plumber is up to speed on the strict guidelines that come with public utility plumbing. Similarly, less-experienced plumbing companies might have trouble diagnosing older or unusually-installed septic systems. When Graham, Washington residents choose John’s Plumbing & Pumps, Inc for their septic pumping and repairs, it doesn’t matter how old, odd, or broken your septic system is. We’ve been in business for over 60 years, and in that time, a wealth of knowledge and experience has been passed down and updated. 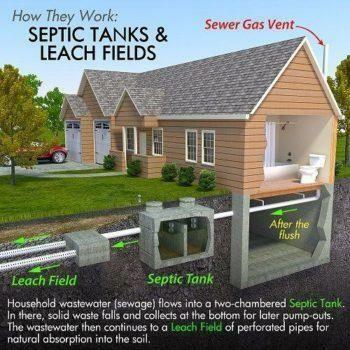 When it comes to septic systems, we’ve seen it all. And our methods have been refined to give you the best in efficient repairs, accurate diagnosis, and quality products. Septic repairs require specialized knowledge, and because we work in a number of outlying areas, we’re skilled in both city sewer line repairs as well as rural septic tank work. Our crew can handle anything, and if you have any questions, feel free to pick our brains. We’re happy to talk to you about the proper care for your system. 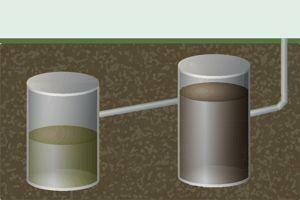 Odor – This is a common indicator or a septic tank that needs to pumped or repaired. Fortunately, modern septic systems are equipped with alarm systems and sensors so you have plenty of warning before anything goes too haywire. Sewage in all the wrong places – If you notice sewage in your yard, call us immediately. Some types of wastewater are highly toxic and need to be cleaned by a professional plumbing company or water damage restoration service. Slowly draining drains – Sinks and toilets that have trouble swallowing need to be addressed immediately. This could indicate a bigger problem farther down the line. What does it mean when a septic alarm goes off? A septic alarm can be triggered by a number of things. Even a period of heavy rain that causes pudding around the tank can cause the alarm to go off. Because the surplus water can leak into the tank, causing the fluid level to rise significantly. However, a red warning light may come on first to alert you to unusually high levels in the tank. The alarm can also indicate an issue with your effluent pump – the system that carries effluent to higher ground where it’s released into a drainage, or leach, field. A clogged, broken, or collapsed pipe can also trigger a septic alarm. How often does a septic tank need to be cleaned? In Pierce County, Washington, septic tanks need to be cleaned or pumped every three years or so. Of course, this depends on level of use and the condition of the system. Sewer cleaning trucks have pumps mounted and connected to a mobile tank. These trucks are equipped to remove the sludge and solids from the bottom of the holding tank and transfer them to a local, licensed waste facility. If tanks aren’t cleaned on a regular schedule, it may cause sludge to back up and upset the system. If you’re not sure how long it’s been since your septic system has been pumped, give us a call. We can inspect the tank and lines and offer advice on when to schedule a cleaning with us. Check septic pumping and repairs off your list. John’s Plumbing & Pumps, Inc has it covered.